ClassicMODUL operates on two core principles: Shared Success and Shared Knowledge. We succeed when you succeed. 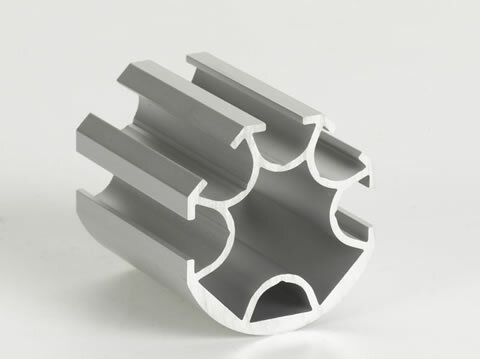 And when we share information about our products, our services, and our capabilities, you have a much better chance of being successful with the ClassicMODUL Aluminum Extrusion line. We don't ask you to sign a contract. But we do ask you to make a commitment to represent ClassicMODUL with integrity and to respect our project management, design, and customer service team. We will show you the same respect and commitment. Classic Exhibits Inc., the parent division, consists of three divisions and one partnership. We work together, but each functions separately. Please note that orders must be placed separately with each entity. We will coordinate the orders internally if they are for one project. Please complete all fields below and attach or fax your Resale Certificate. We strongly encourage you to browse through the MODUL product catalog on the website. Don't worry about becoming an expert. That's our responsibility. We'll work with you on your quote request and detail the best solution for your project. Please let us know if you have any questions. Good luck. We look forward to working with you. Does your state impose sales tax? You have two options, you may fax us your Resale Certificate or attach a digital copy (pdf). Your Resale Certificate may be faxed to (503) 513-9595. You have two options, you may fax us your Reseller Permit or attach a digital copy (pdf). Your Reseller Permit may be faxed to (503) 513-9595.